Colorado is one of those states where the Republican Party had done pretty poorly lately. It looked like this year was the year of mending though, but it’s hard to see that in the Governor’s race. 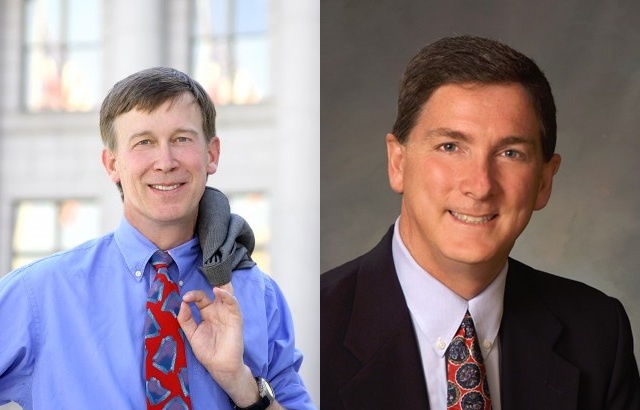 Democrat John Hickenlooper leads Republican Dan Maes easily in the new Rasmussen, but that’s because of a third party protest run going on this year. Hickenlooper leads by 25 over Maes, 46-21 (MoE 4). Perhaps not entirely coincidentally, that’s the exact amount that Constitution Party nominee Tom Tancredo gets, 25 points. It’s certainly unusual to see a third party runner do so well, but Tancredo of course is a former Republican Presidential candidate who has now turned on his party to go against it. He built up a personal base and with the national Republican apparatus working hard to discredit Maes, Tancredo has apparently been ready to welcome Republican voters persuaded by the national Republican attacks on Maes, as he’s gained 11 points in two weeks in the Rasmussen poll. Traditionally third party candidates fade as election day approaches. I will be interested to see if that happens here, as the national groups have moved on from their dogged efforts to dislodge Maes from the ticket, and the race begins to move according to local issues instead of national dictates.